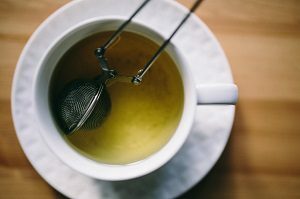 Even though tea is usually thought of as being an integral part of the everyday life in UK, the fact is the history of this quintessentially English drink goes further back in time. Originally, tea comes from China. As told by the legend, in 2737 BC, the emperor of China Shen Nung was spending some time near a beautiful tree. At the same time, his servant was boiling water for him. That very moment a couple of leaves blew from the tree into the water. The emperor of China was passionate about herbs, which is why he made a decision to try the accidently created drink. The tree turned out to be a Camellia sinensis and the drink is nowadays known as tea. At this stage of the tea history, European continent was lagging quite behind. In the 16th century there were the first mentions of this drink taken by Europeans. While the Portuguese brought some samples of tea to the continent, it was not the Portuguese who were the first to set the commercial import of tea. The Dutch were the ones to do that. In 16th century they established a trading post that was located on the Java island. Soon, this drink became a fashionable one in Holland. From that country, tea spread to the other countries of the continent. The turning point in the history of tea in the UK was the marriage of Catherine of Braganza. The woman was a Portuguese princess and tea was her favorite drink. And it was her addiction to the drink that turned tea into a fashionable beverage among the representatives of the wealthy class. The first China tea order in the United Kingdom was placed in 1664. By 1784, the government was considering the taxation reform since the heavy taxation set by the time caused a range of problems in the society. With that in mind, the Prime Minister William Pitt the Younger made a decision to slash the tax level from 119 per cent to the level of 12,5 per cent. This made the drink accessible for the majority of people. One of the most important inventions in the tea production industry was the tea bag take off. These little items were originally invented in the US in the early 20th century, while the sales were opened in the UK in 1970’s. Nowadays, a lot of tea addicts cannot imagine their routine without tea-bags and the drink in general. A hug in a mug, as they call it. Kavoi. M. M, Owuor, P. O. Siele, D. K, Kilungo. J. K (2000) ‘Factors impeding tea production in smallholder sub-sector of the Kenya tea industry’, Green leaf supply, Vol. 21, (1) 28-34. Haridas, P. (1998), ‘Kenyan Tea Industry,’ Tata Tea Seithingal, VolA, No:4, January, 87-88. James Trager. The People‟s Chronology is licensed from Henry Holt and Company, Inc. Copyright © 1994. “China,” Microsoft ® Encarta. Copyright © 1994 Microsoft Corporation. Copyright © 1994 Funk & Wagnall‟s Corporation. Smith, R. E. F. and David Christian, (1984), ‘Bread and Salt: A Social and Economic History of Food and Drink in Russia’, Cambridge Print, 215-226. Awasthi R.C. (1974), ‘Economics of Tea Industry in India’, United Publishers, Guwahati, India, 21-34.